​The question often asked at the beginning of each football season is which country has the best domestic league. However, it's not enough to simply look at a league in general without taking into account the teams' performances on the biggest stage of European competition, the Champions League, where the continent's finest sides take each other on in the battle for the top prize. And while the ​Premier League is action-packed, with wonderful teams and and an electrifying atmosphere, the years of English dominance in the competition have been few and far between, raising the concern that the Premier League is no longer the best in the world. So who are the rivals? Spain's La Liga has produced the most Champions League winners in recent memory, while Serie A is making a comeback and the Bundesliga is on a consistent rise. By analysing each country's representatives in Europe's top competition we can see each league's rise and fall and reach some conclusions. Since the 2006 World Cup in Germany, the ​Bundesliga has shown consistent improvement in fanbase and overall league quality. European heavyweights Bayern Munich have won the top title five times throughout their history, and are always favourites to progress to the later stages of international competition. However, when analysing German teams' Champions League performances, they fail to impress, with only one team winning the title over the last 15 years. The Bundesliga's most successful season of the competition was in 2012/13, as Bayern Munich, Borussia Dortmund and Schalke 04 all made it to the knockout stages. Bayern and ​Dortmund managed to progress all the way to the finals, making them an all-German affair as Die Roten claimed the title. Since then no German club has reached the final stage, and with ​Bayern the only remaining team in the competition it looks highly unlikely they will improve their record this season. Italy's top tier used to be known for their dominance on the world stage, with clubs such as Milan and Inter dominating in the 90s and early 00s. ​Milan have won the Champions League (formerly known as the European Cup) seven times, but their last victory in the competition came in 2006/07. Since then, only one other ​Serie A side has won Europe's top prize - Jose Mourinho's ​Inter in 2009/10 - as the local clubs drowned in mediocrity. Over the last 11 years Italian sides have consistently failed at the first knockout stage, with no more than one team reaching the quarter final stage each year. However after a long barren run, Italian football is finally back as two teams managed to progress from the round of 16 last year, with ​Juventus (finalists in two of the last four finals) and Roma bowing out in the semi finals. This season Juve have also managed to progress to the quarter finals in dramatic fashion, beating Atletico Madrid 3-2 on aggregate. Over the last 15 years, Spanish football has been the most dominant force on the international stage. La Roja won the 2010 World Cup and claimed two European titles, as Spanish clubs dominated the Champions League. Since 2004/05, a Spanish team has won the competition eight (!) times, with ​Barcelona claiming three titles and Real Madrid winning five. Over the past five consecutive years only Spanish teams have won the title, and ​La Liga representatives have consistently succeeded at the knockout stages, with more than one side reaching the quarter finals every year since 2010/11. However this season the Spanish dominance has finally cracked. Both ​Real and Atletico Madrid have exited at the round of 16, and Barcelona will be the only La Liga representative if they manage to overcome Lyon on Wednesday. Does this season mark the end of La Liga's reign at the top of European football? Only time will tell. English teams were at the top of their game at the turn of the century and in the early years of the new millennium, with Liverpool, ​Manchester United and Chelsea making consistent runs to the latter stages of the competition. Liverpool last won the title in 2004/05 with an unforgettable comeback against Milan in the final. Since then they've reached the final showdown twice, however they failed to go all the way on both occasions. After their historic treble in 1998/99, Manchester United have managed to win the title once, in a penalty shootout against Chelsea 11 years ago, losing in their only other Champions League finals since to Barcelona. As Roman Abramovich's ​Chelsea picked up momentum in the league, so did their runs in the Champions League. The Blues managed to finally win the title in 2011/12, and were consistently part of the latter stages of the competition. Only twice before have there been four English representatives in the Champions League quarter finals (2007/08 and 2008/09) and since then there has been a major dropoff in their level of success. 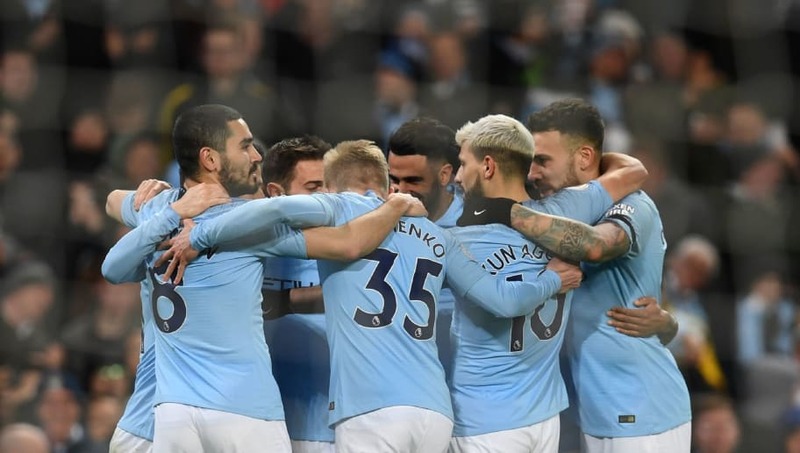 However with the rise of ​Manchester City as a global powerhouse and the resurgence of English talent, the Premier League may see four teams in the quarter finals once again this season, with Manchester United, Manchester City and ​Tottenham already qualified and ​Liverpool set to face Bayern Munich on Wednesday. With an English finalist last year and with the most teams to have survived the round of 16 in over a decade, the Premier League looks set to reclaim the title of the best league in the world. But it will take more than just a couple of generally successful years, an English team needs to win the Champions League to send a message to the rest of the continent - that football's coming home!